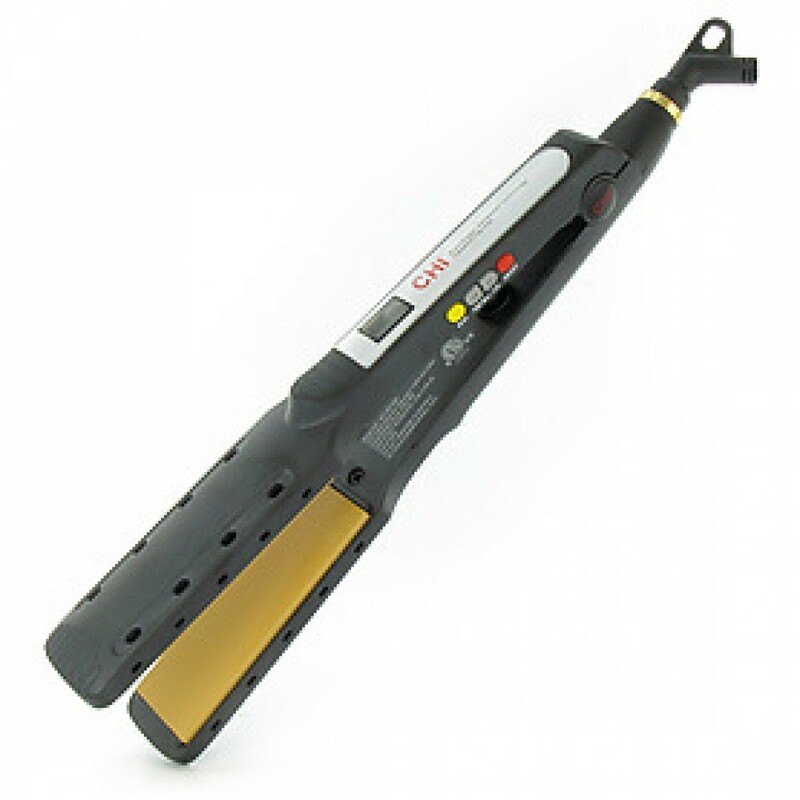 The CHI Wet-to-Dry Iron is a state-of-the-art hair straightener, unparalleled in its performance. The auto digital feature allows you to set the temperature and the time, and the digital monitor allows you to see the temperature setting. Additional features include a timer with automatic shut off, ceramic plates, and ionic technology for smooth straightening, all from one versatile styling tool. The digital monitor allows you to see the precise temperature for your requirements. Shampoo and condition hair with Chi Shampoos and Conditioners. Always make sure your hair is 90-95% dry and combed through. Section the hair. Start from underneath and work your way up with flat iron, ensuring to keep the hair taut. The thinner the section, the more intense heat will be distributed to the hair. The thicker the section, the less direct heat will be applied.